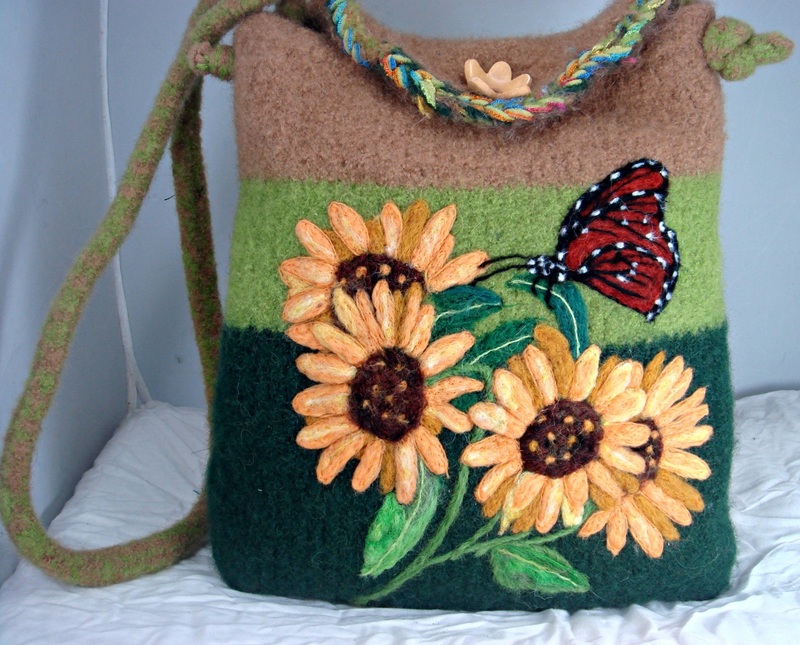 DESCRIPTION: This is a beautiful felted sunflower/butterfly handbag. Gorgeous colors!! 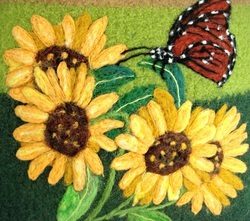 Everybody's favorite--sunflowers and to highlight this--a beautiful butterfly. The bag has an inside pocket and closes with a ceramic flower button. The measurements are: 12" wide by 12" high by 2.5" deep. 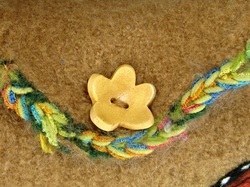 The ADJUSTABLE strap has a 22" drop but can easily be shortened. Stunning! !